Virginia real estate investor Olivia Quinn says she lost her mortgage because Rent-A-Center, the nation’s largest rent-to-own company, failed to correct her credit report. She had paid off her rented merchandise — twice. 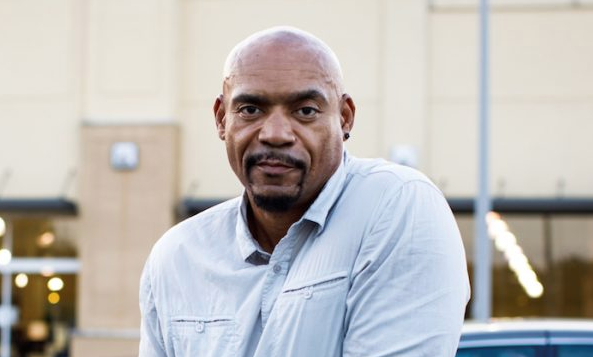 Leroy Walton of Georgia settled his account with Rent-A-Center in 2013, his records show. But for years after, he says debt collectors pursued him, even threatening him with arrest. Jessica Gonzalez’s federal lawsuit says she huddled with her two sons in a closet of her Florida home while a Rent-A-Center employee pounded on her house to collect money. And Andrea Gorman told authorities that Rent-A-Center workers kicked in the front door of her Ohio home after she fell behind on payments. Thousands of Rent-A-Center customers across the United States are complaining in growing numbers of harassment and wrecked finances after leasing furniture , electronics or appliances from the $3 billion company. Customers say their credit scores had been damaged unfairly and they were hounded by debt collectors after they settled their accounts. Many documented lengthy, unsuccessful attempts to get Rent-A-Center to correct its records, a joint investigation by NerdWallet and Raycom Media found. Even Rent-A-Center shareholders have complained, filing a lawsuit against the company that argued shoddy record-keeping has damaged the business. In most American industries, harassment over unpaid bills sets off alarms with regulators. But Rent-A-Center relies on exceptions carved out for the entire rent-to-own industry, allowing it to operate outside many consumer protection laws. The Federal Trade Commission, aware of the industry’s tactics, has warned about the risks of signing rent-to-own agreements. At the state level, consumer advocates such as Ohio Attorney General Mike DeWine say the industry needs more regulation. 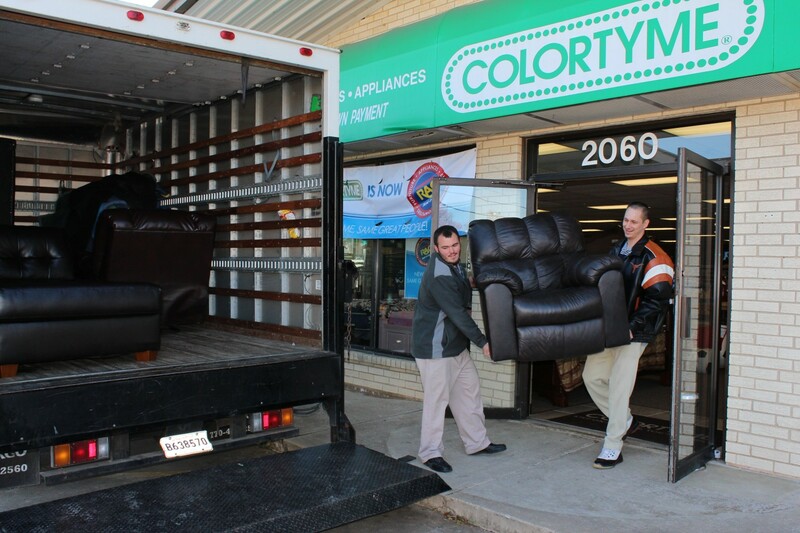 Anyone considering turning to Rent-A-Center for furniture and appliances should “run — don’t walk — out of that store. 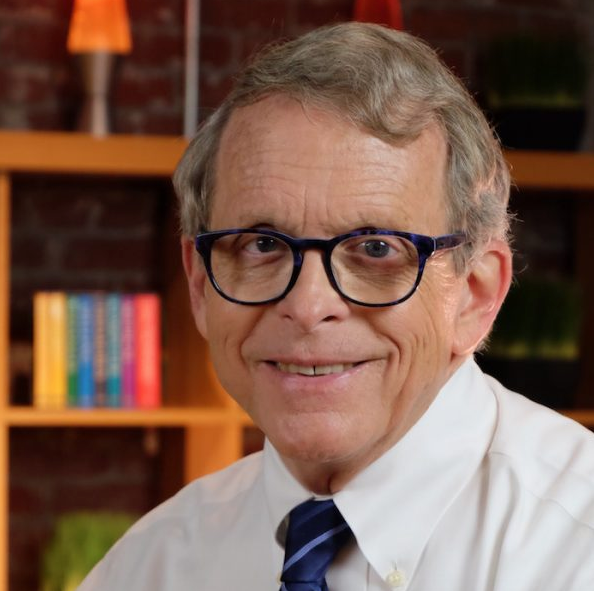 Get out of there,” DeWine says. Rent-A-Center, a publicly traded company based in Plano, Texas, rents TVs, couches, washers and dryers, and other items for weeks or months. Customers typically can terminate their leases at any time and return the goods, or pay until they own the items. The company has two basic business models. It has more than 2,400 stores largely near low-income neighborhoods and military bases. It also operates as Acceptance Now inside nearly 1,300 independently owned furniture stores, including Ashley Furniture and Rooms to Go. In those showrooms, customers pick out furniture they want but instead of buying it from the store, Acceptance Now buys it for them and leases it back to them, removing the store from any responsibility in disputes. Interviews by NerdWallet and Raycom and complaints to regulators show problems arise if a customer falls behind on rental payments. A missed payment can trigger aggressive responses by employees and touch off record-keeping errors, former employees told reporters. Quinn and Walton missed payments, then caught up. But their accounts were not properly credited, their records show. Gonzalez, Gorman and other customers who fell behind on payments faced immediate and aggressive harassment. Chris Korst, Rent-A-Center’s chief administrative officer, said in an email that the company takes complaints seriously: “We strive to provide the highest level of customer service and when we fall short of that expectation, we work equally hard to resolve those issues.” The rent-to-own industry has been controversial for decades, largely because it is pricey . A Vizio soundbar with subwoofer retails for $148 at Amazon. It would cost more than five times as much, $779, if lease-purchased in a one-year contract from Rent-A-Center. At a rental rate of $14.99 a week, a customer could save the money for 10 weeks and buy the item with cash. Rent-A-Center said its prices are higher because they include delivery, setup and other services many retailers don’t offer. The company says its prices also reflect the risk of doing business with a population many retailers do not accommodate. Caitlin Six is a financial services employee who signed a contract Acceptance Now in 2013 to lease a sectional sofa, bedroom furniture and two mattresses from a Rooms to Go near Jacksonville, Florida. Six signed a three-year contract, agreeing to pay $201.28 a month. She made monthly payments for 15 months, then returned the couch. Rent-A-Center records show she had paid $3,030. She assumed she was close to paying off her account because she no longer had the couch, which she recalls cost $1,299, or two thirds of the total for the furniture. Rent-A-Center told her she still owed more than $1,700. Six asked for an itemized statement, but the company would not provide one, she told the Florida attorney general’s office in a 2015 complaint. In March 2015 she got a call from Rent-A-Center demanding that she pay $497.06 or the company would pursue theft charges, her complaint said. Rent-A-Center representatives began showing up at her house, leaving notes threatening to call police if she didn’t pay or return the “stolen” items, she told a reporter. Rent-A-Center has strict collection targets, former managers say. When they worked for the company, a store’s percentage of past due customers had to be under six percent each week, say the workers, who asked not to be identified because they had signed nondisclosure agreements with the company. If stores don’t hit their numbers, managers are required to work extra shifts and can lose their jobs, former workers say. Store sales staff doubles as first-line collectors. They call customers within hours of a missed payment, and workers often go out to track down customers late by a week or more. The Federal Trade Commission received 2,779 complaints about Rent-A-Center and Acceptance Now between January 2016 and June 2017. More than 90 percent cited aggressive collection tactics. Ohio customer Gorman says Rent-A-Center workers kicked in the door of her Lima home after she fell two months behind on a contract for a laptop, which she had nearly paid off. She had lost her job and says she told Rent-A-Center employees she needed a few more weeks to make final payments. Instead, workers broke into her home while she was away, Gorman told Lima police, citing a neighbor who witnessed the incident. Washington state sued Rent-A-Center in 2009 accusing the company of abusive collection practices. Rent-A-Center settled the lawsuit in 2010, saying it had done nothing wrong but agreeing to not use abusive language, trespass or visit customers’ workplaces after being told not to do so. Since that settlement, the Washington attorney general has received more than 800 pages of complaints about Rent-A-Center. Laws in many states allow rent-to-own companies to pursue criminal charges against customers who miss payments and do not return the rentals upon the company’s request. David Strosnider, a former Rent-A-Center manager in Charlotte, North Carolina, says he pursued criminal charges against only those customers who paid off less than 30 percent of the merchandise. But some Rent-A-Center managers filed charges on anybody who didn’t pay, says Strosnider, who worked for Rent-A-Center from 2012 to 2015. Rent-A-Center’s corporate office gave stores “free rein” with delinquent customers, he says. “Their message was, ‘Do whatever you have to do to get your money.’” In Houston, the Harris County district attorney has filed criminal theft charges against rent-to-own customers for at least two decades, says Valerie Turner, county chief of consumer fraud. Murray Newman, who worked as a Harris County prosecutor from 1999 to 2008, says he justified theft charges if a customer rented an item, never made a payment and refused to give it back. But he said Rent-A-Center didn’t make that distinction. It used the district attorney’s office as a collection agency, he said, going after customers who fell behind on payments with no intent to steal. Rent-A-Center said in an email it uses criminal charges in “extremely limited circumstances” and only when the intent to commit theft is apparent. “We try every possible way to contact, visit and work with our customers, and view filing charges as a last resort,” the company said. Between January 2016 and June 2017, 674 people filed complaints with the Federal Trade Commission about problems with Rent-A-Center’s subsidiary, Acceptance Now. Nearly one-third had asked Acceptance Now for verification they owed money. The company failed to provide it, former customers said. Ten percent of those 674 customers said errors ended up on their credit reports. Rent-A-Center shareholders filed a federal lawsuit against the company in December 2016 over problems with its system for tracking customer payments. The complaint, filed in U.S. District Court in Texas, said Rent-A-Center had difficulty starting a new point of sale system in 2015, causing “severe harm” to company operations. The company introduced the system despite repeated internal warnings about its flaws, leading to outages that caused customers to fall behind on their rental agreements, shareholders say in court filings. Rent-A-Center tried to get the case dismissed but a judge denied its request. Companies that mishandle customer records can be subject to penalties, Ohio Attorney General DeWine says. He urged consumers harmed by Rent-A-Center to contact their state attorney general. “This is an industry that needs regulation,” he says. “This is an industry that is really hurting poor people.” Rent-A-Center’s systems have also harmed middle-income consumers. Walton, the Rent-A-Center customer from Georgia, says he has been called by at least five debt collectors about bills he paid in full. His bank records reviewed by a reporter show he paid off the $2,035.93 he owed for a dining room set and sectional sofa from Acceptance Now in 2013. Two years later, he learned his credit report included an unpaid balance. Walton says he made dozens of calls to Rent-A-Center and Acceptance Now but could not get the error corrected. In February, four years after he settled his debt, a collection agency left voicemails with his sister and a nephew. The messages warned that Walton would be arrested if he didn’t pay, he says. Written by Brad Wolverton for NerdWallet. Brad Wolverton is a writer at NerdWallet. Email: bwolverton@nerdwallet.com. Twitter: @bradwolverton. The article Kicking in Doors and Crushing Credit: How This Retailer Torments Customers originally appeared on NerdWallet .